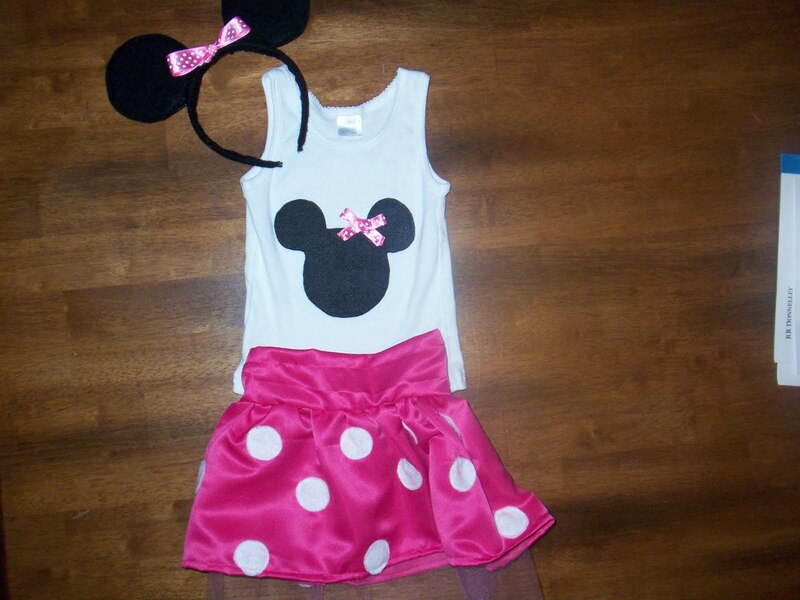 In honor of the Minnie Masquerade theme of our upcoming party, I decided to create a cute birthday outfit for my daughter to wear. I made a skirt, embellished a tank, and made Minnie Mouse ears. The skirt and ears will also pull double-duty as part of her Halloween costume this year. Here’s a look at how I am handmaking my daughter’s special birthday outfit. 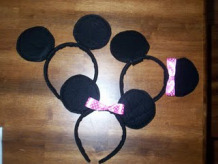 The ears are a repeat feature that are included in the party favor bag section, as well. 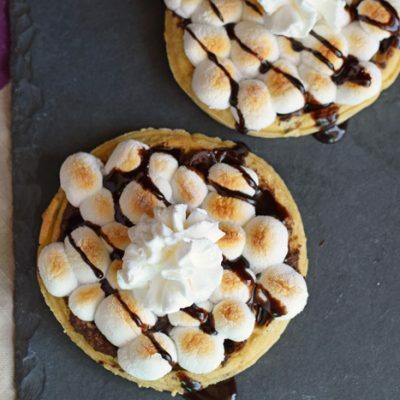 See the Suburban Mom’s site for the pictures and instructions on her creative idea. Here’s a picture of the finished product. I handmade the birthday shirt using a few easy steps. 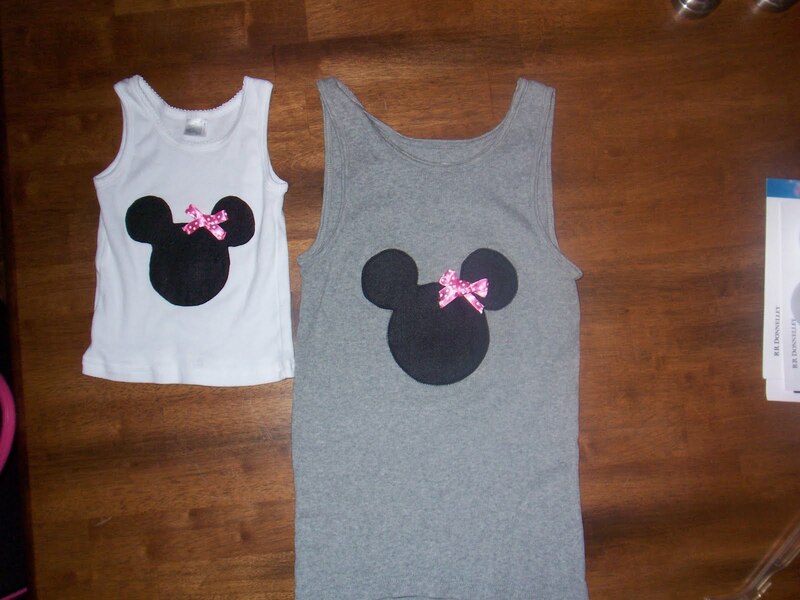 White tank in your child’s size. For some reason, I had a difficult time finding a solid white tank top even though it was the middle of summer. I finally ordered one off of eBay. 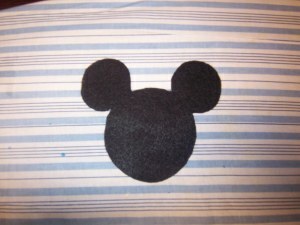 Cut out a Minnie head shape out of the black fabric. 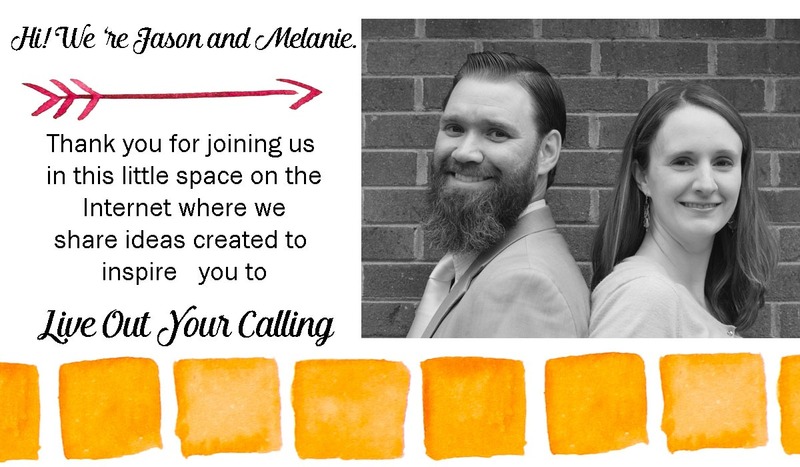 I used an invitation that I had already made as a template since the sizes were the same. Mine was about 6 inches in diameter. Following the directions on the Heat N Bond package, adhere the black Minnie Mouse head to the middle of the front of the shirt. 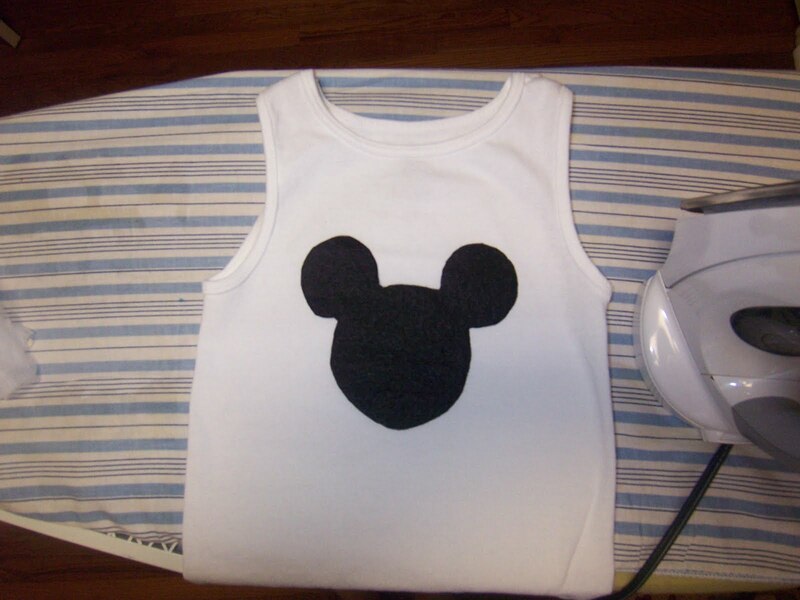 If you choose, cut a piece of iron-on interfacing and attach it to the back of the shirt where the Minnie Mouse head is, following the directions on the interfacing package. I did this just to provide extra support for sewing the Minnie head in the next step. 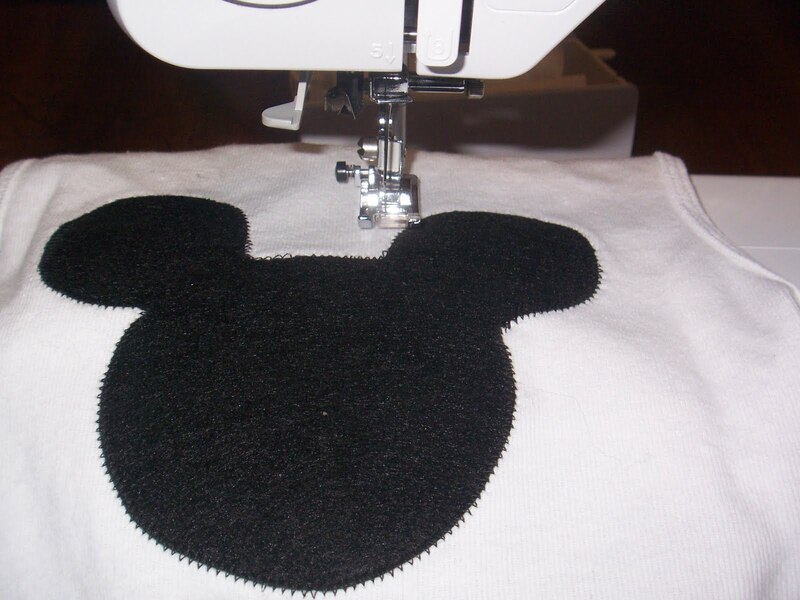 Sew around the Minnie Mouse head to better attach it to the shirt. A zig zag stitch will give the shirt more of an applique look, but if this is too difficult you can also sew very close to the outer edge. 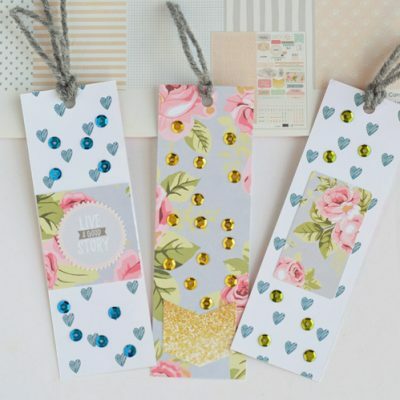 Using your ribbon, cut about 8 inches length. 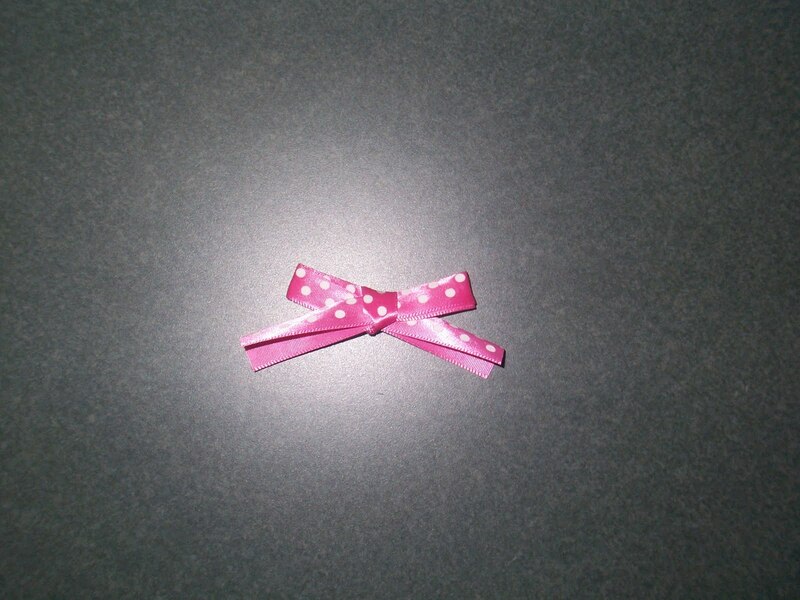 Tie a nice bow. 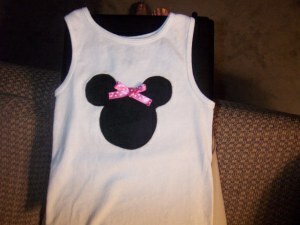 Use the pink thread to attach it to the middle of the Minnie Mouse head on the shirt. I also decided to make myself a coordinating shirt to wear to her party. Here are the two shirts together. In addition to the handmade Minnie tank, I also took on a new task: making a Minnie Mouse skirt. Outside of my days in Home Ec. class, I haven’t made any kind of skirt, so this was a challenge for me. But I was happy with the outcome! Cut out the tulle for underneath the skirt. You will need one piece, 9 x 44 inches. 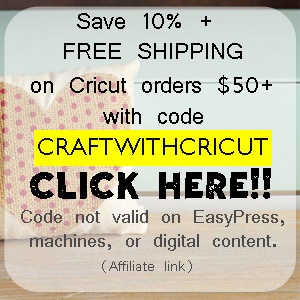 Cut a piece of elastic 9 inches long. 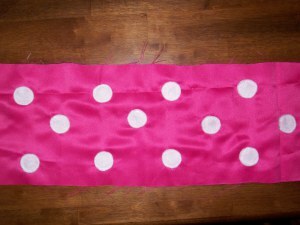 If you have fabric that already has white polka dots on it, you can skip this portion. My fabric didn’t, so I cut white circles that were approximately 1 inch in diameter. I sewed them in various locations across the 8 x 44 portion of the skirt. I used close to 40 circles. Go ahead and sew the hem of the skirt. To do this, turn under 1/4 inch on the bottom of the skirt. 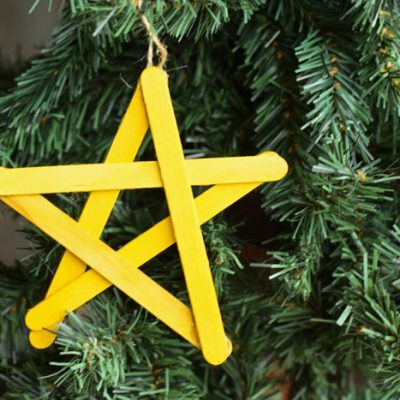 Iron this in place. Turn in another 1/4 inch of the bottom of the skirt so that the rough edge is hidden. Iron and pin in place. Stitch hem close to edge. Sew on the tulle. 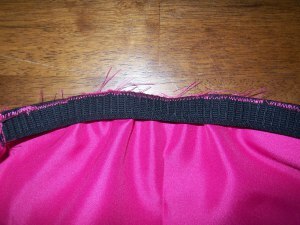 Using a wide, basting type of stitch, sew the tulle along the top unhemmed edge of the 8×44 skirt portion. Do this close to the edge. Here is a picture of the tulle under the skirt (this picture does not show the end hemmed, but keep in mind that your end should be hemmed). Now fold the entire 8 x 44 inch portion with right sides together. 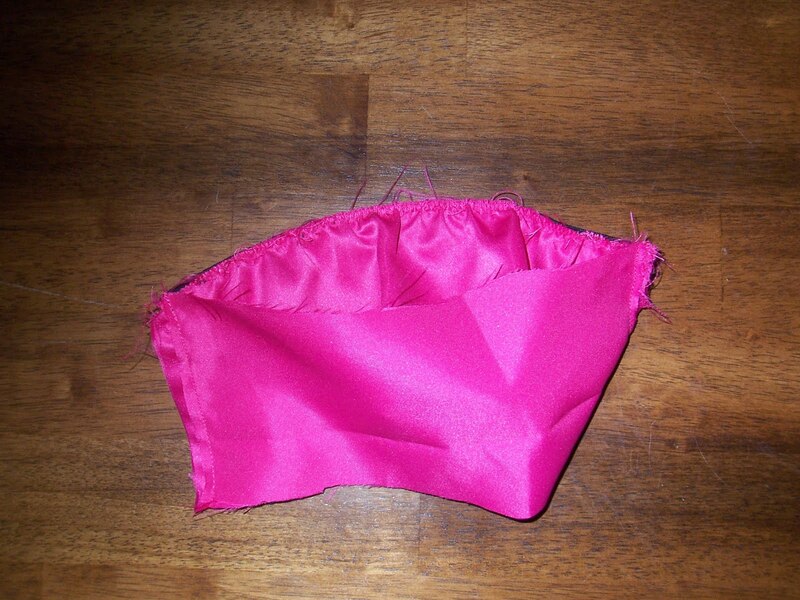 Using a 1/2 inch seam allowance, sew the ends together- MAKING SURE THAT YOU DO NOT SEW OVER THE BASTING STITCH THAT YOU USED FOR THE TULLE. This will be used to gather the skirt later. Assemble the flat front waistband. I liked the flat front aspect because it makes it look more like Minnie’s skirt at the top. Sew the elastic to the 4×13 inch piece of fabric. 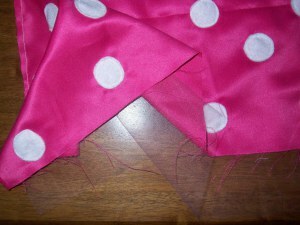 Stretch and pin the elastic across the top of the fabric and sew. Since the elastic is 9 inches, the 4 x 13 piece of fabric will now draw up to be about the same size as the 4 x 9 piece of fabric. Sew these two pieces, right sides together, along the sides to create one round waistband. Now turn the waistband under so that the elastic is no longer showing on the inside. It should be hidden under the fold. Pin and stitch 3/4 inch from the top edge so that the elastic is secured inside, like a casing. 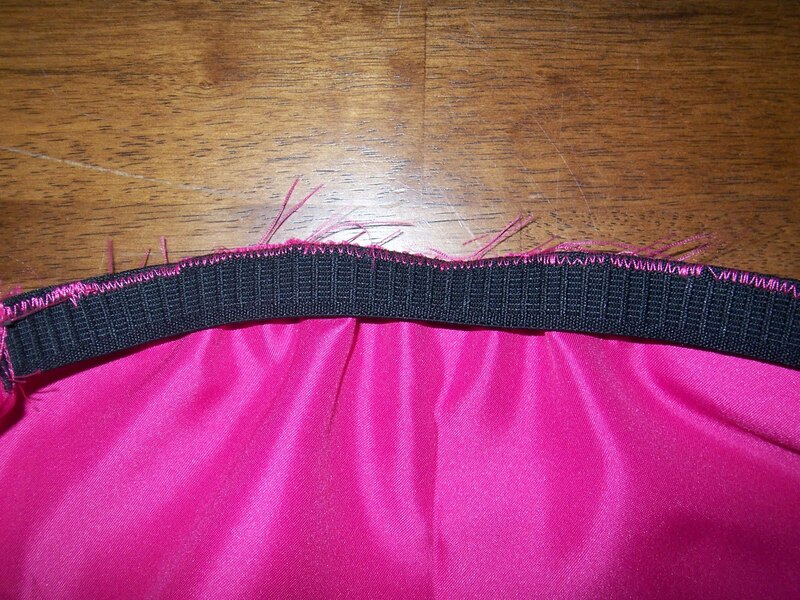 Using the wide basting stitch that you used to attach the tulle, gather the 8 x 44 portion of the skirt until it is the same size around as the waistband. 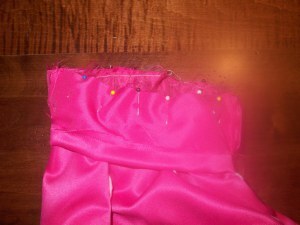 Pin the right sides of the skirt and the waistband together. 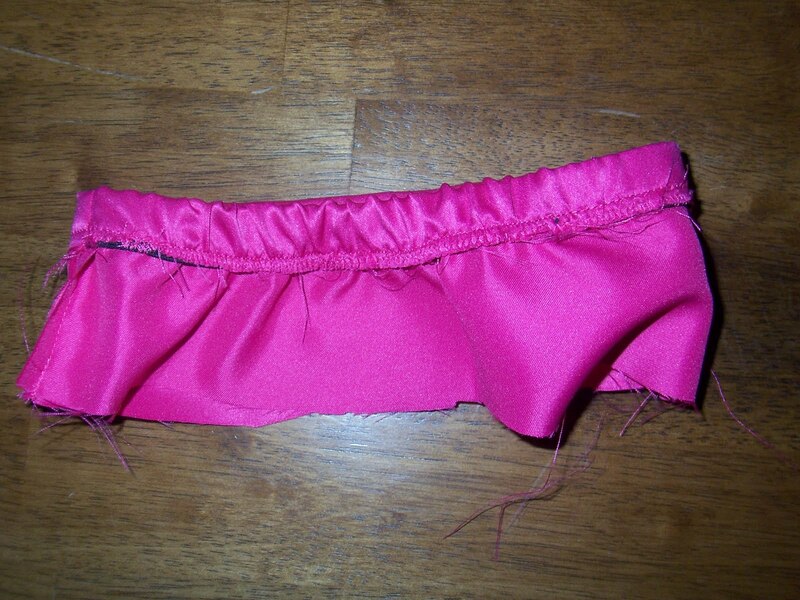 Sew the waistband and skirt together. 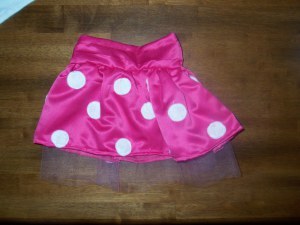 I LOVE the large polk-a-dot fabric you used for this Minnie skirt! I can’t believe you made 15 headbands!! How much fun!! Love this outfit!! 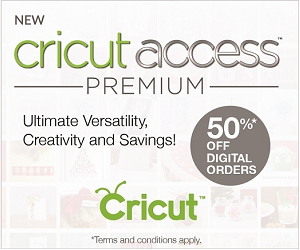 How many yards of fabric did you find you ended up needing?